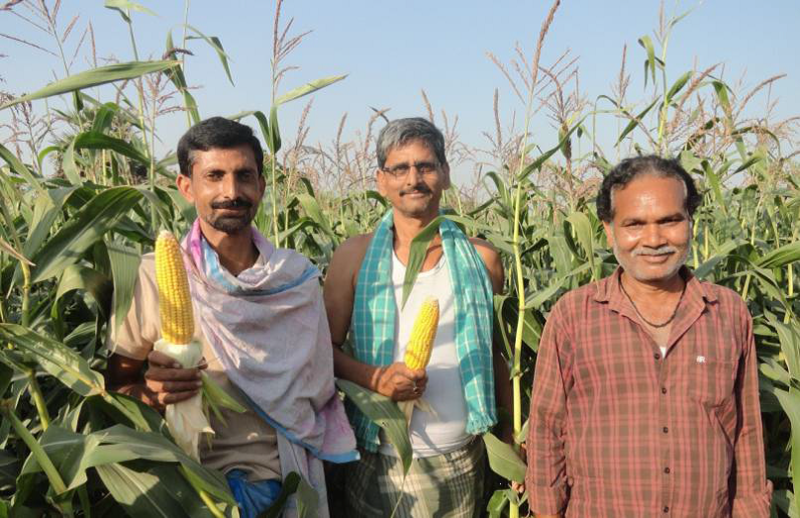 Corn grower Akkamadevi's association with Syngenta has transformed her into a successful farmer. Two years ago Akkama who is from Davanagere district's Basnal village in Karnataka was introduced to Syngenta's “Start Right” ICS program that gave her the right germplasm, seed care, agronomy support and provided her with timely advice for crop protection products. This raised the yield of her two acre plot by 35%. Her success has made her a role model for other women growers in the area. An increased income has enabled Akkama to supplement the family income and provide a better life to her two daughters Deepika and Deekshitha. Nandlal Mandal a farmer from Bihar has always been curious about the latest technologies in agriculture. He owns eight acres of land in Muraripur village in Araria district and in 2012 he tried cultivating corn on half an acre but did not get a good yield. In 2013 he switched to Syngenta's corn hybrid NK 6607 and grew corn on three acres using Syngenta's solution for corn. Despite adverse weather conditions he reaped a good harvest and almost 50% of the crop was with double cob. Nandlal, who used to earlier get a yield of just 20 to 25 qunitals/acre got a yield of 60.10 quintal/acre! Not only was this yield the highest in the entire area, but it also increased his income by Rs. 25,000/ha. Inspired by his achievement, growers in Nandlal's village are also adopting the integrated protocol for corn. This success has motivated Nandlal to use the company's integrated solution for paddy too. Nandlal's wife, who is a teacher, is also happy. The increased income made it possible for her to renovate their house and purchase a LCD TV this year.As for Nandlal, besides tripling his yield, the association with Syngenta has helped him understand the significance of spacing of crops, timely application of fertilizers and the effect of crop-weed competition on productivity. After completing his daily farming activities, he can now peacefully pursue other interests- like fishing in a neighborhood pond. StartRight pilots were also implemented with farmers having larger landholdings like V Ragupathy from Mungiltholuvu village, Tirupur, Tamil Nadu. 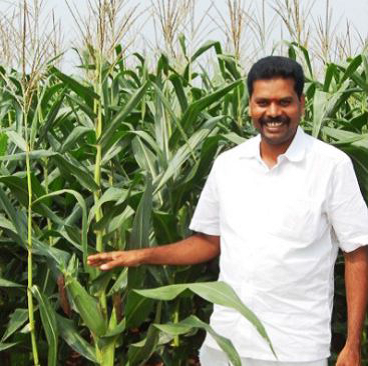 Raghupathy is into farming for more than two decades and owns 21 acres of farmland out of which he cultivates corn on 6 acres every year. Seven years ago he started using Syngenta products for corn and was extremely satisfied with the results. Since he is an innovative and progressive farmer, always on the look-out for adapting the latest technologies on his farm, he was the ideal candidate for the pilot of the StartRight protocol. In August 2013, StartRight was piloted on Raghupathy's corn plot, using Syngenta hybrid S 6668 and the resultant yield was 46 quintals per acre compared to 35 quintals/acre using the traditional farmer practice! This feat convinced 30 growers from his village to adopt Syngenta hybrids and our Integrated protocol. For Raghupathy, the use of StartRight means he is stress free and capable of devoting more time to activities that interest him- like helping other farmers in getting the best out of their land.